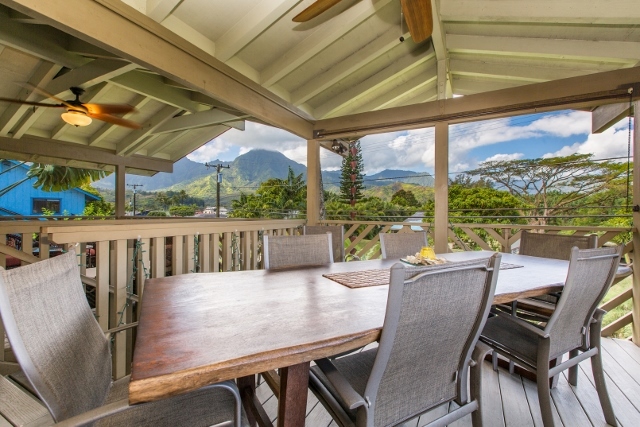 HANALEI, KAUAI VACATION RENTAL: This charming 2 bedroom plantation-style Hanalei rental is a short walk to Hanalei Bay, Hanalei Town Center and the Saturday farmer’s market. 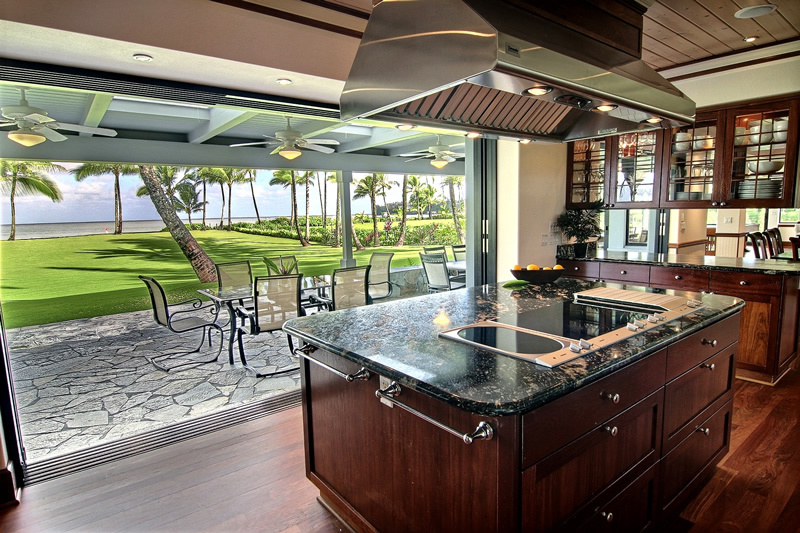 Expansive mountain and waterfall views provide a dramatic back-drop to the covered lanai looking out over a large yard graced with tropical gardens. Sleeps 5. 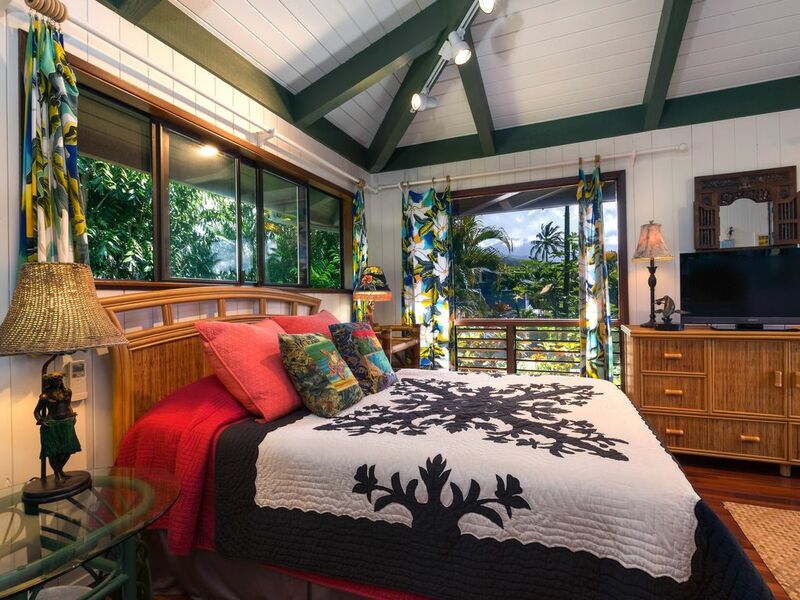 HANALEI, KAUAI VACATION RENTAL: Step back in time and stay at this comfortable “retro” style beach cottage. 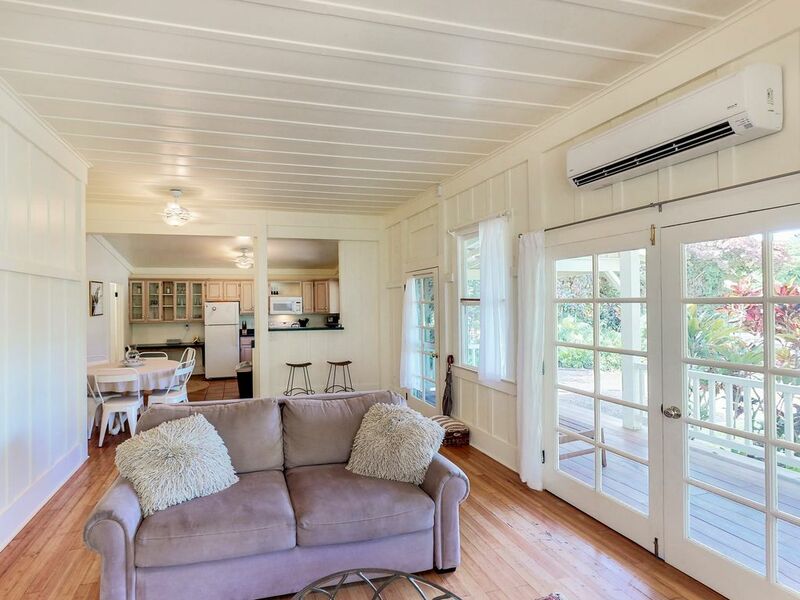 This family-friendly property features a large fenced yard and a covered outdoor dining area. 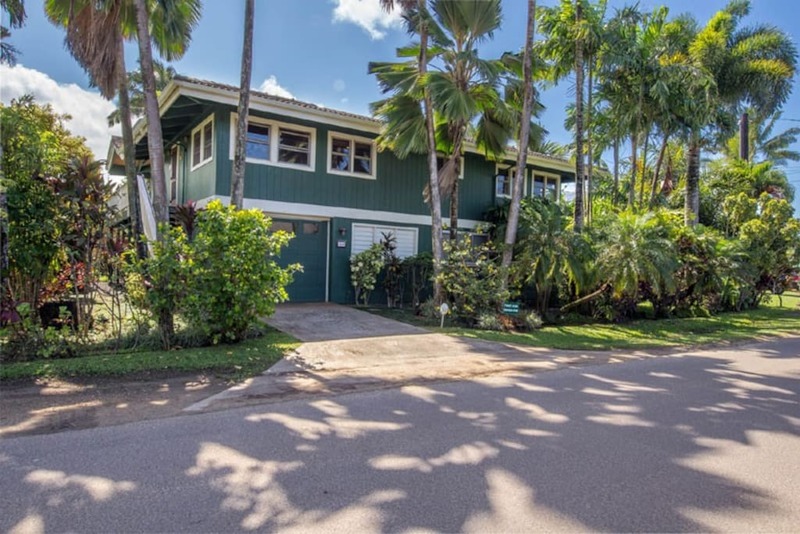 Located a short walk from beautiful Hanalei Bay and also close to Hanalei town with lots of shops, restaurants, food markets and the public Kauai Bus stop. 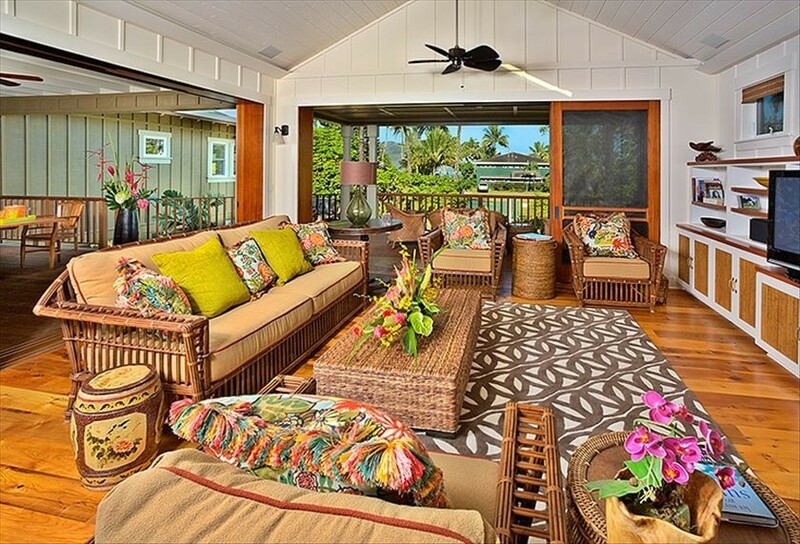 HANALEI, KAUAI VACATION RENTAL: Hale Maluhia is a one-of-a-kind beachfront home on Hanalei Bay and is perfect for honeymooners or small groups looking for a luxurious getaway. 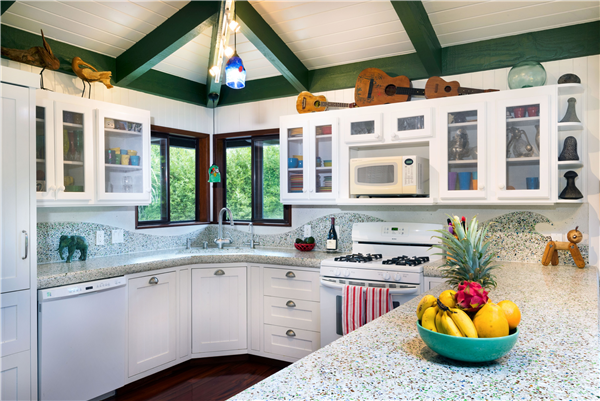 This home is bright, very comfortable and stylish. Sleeps 4 people. 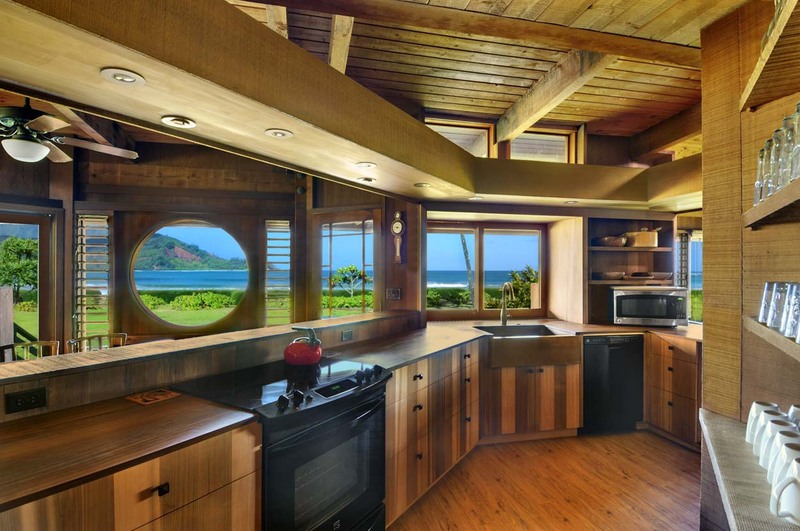 HANALEI, KAUAI VACATION RENTAL: The Hanalei Bay House offers the ingredients for the Fabled Island Lifestyle on the lush North Shore of Kauai. 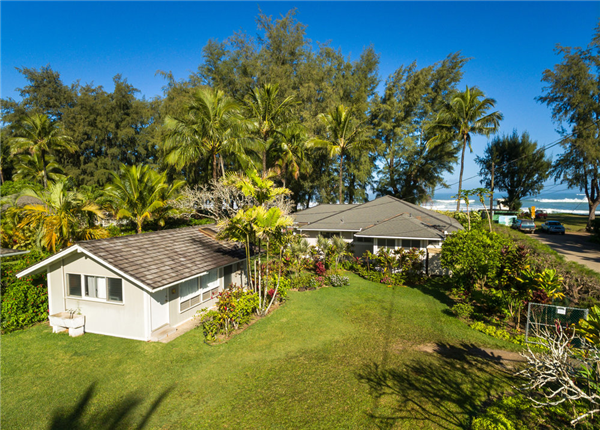 Located on breathtaking Weke Road across the street from Hanalei Bay,this inviting home offers island luxury and understated elegance. Sleeps 8-10 Guests in Main House and 2 in attached Guest Suite. 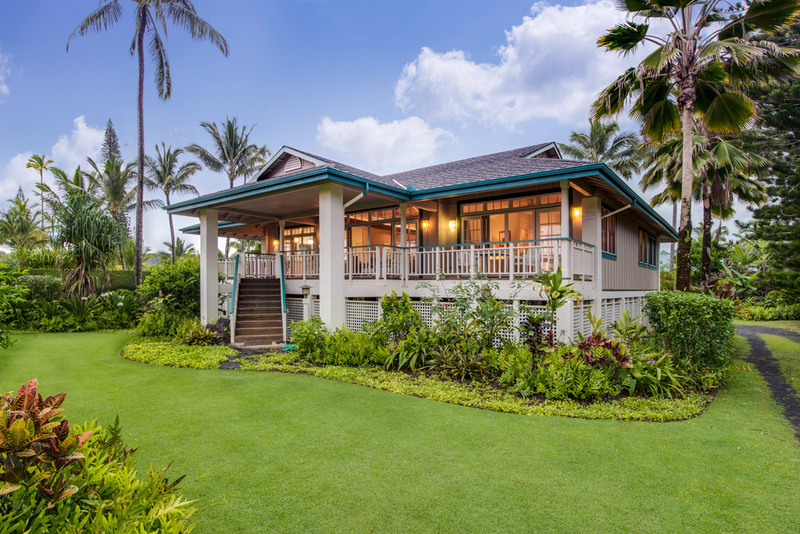 Just across the street from the sand, Hale Hoku is a 5 bedroom/4 bathroom beach cottage with a sunny and open floor plan. 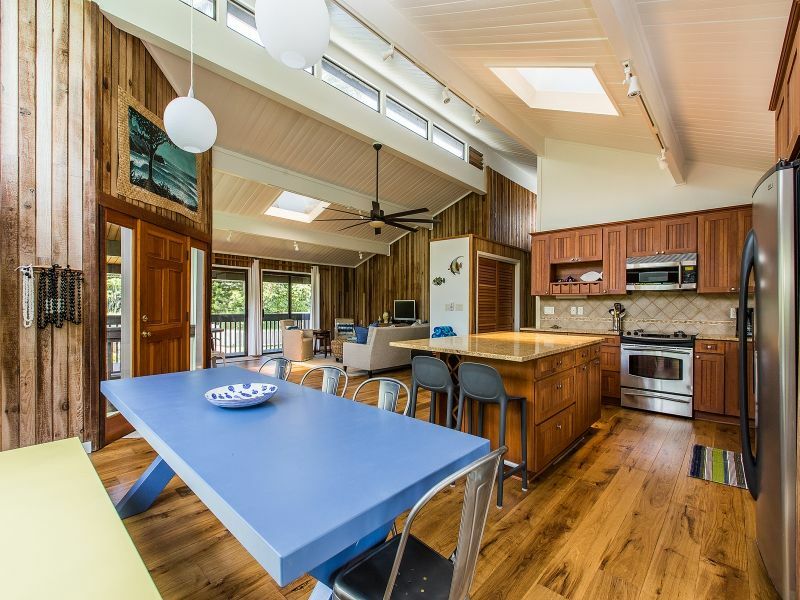 Built up on post and pier, it is as if you are residing in your own private and breezy treehouse! 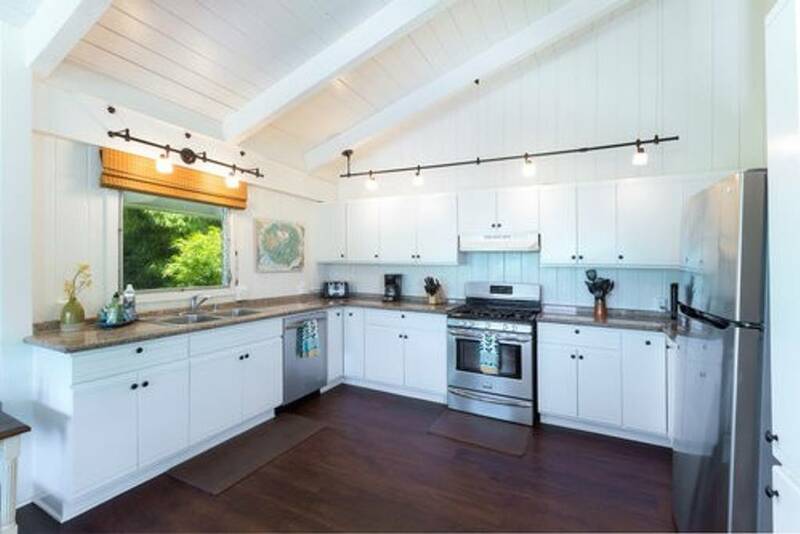 As of Feb 2018 the home was completely remodeled- Being just steps from the beach and town, the home’s location couldn’t be more ideal! 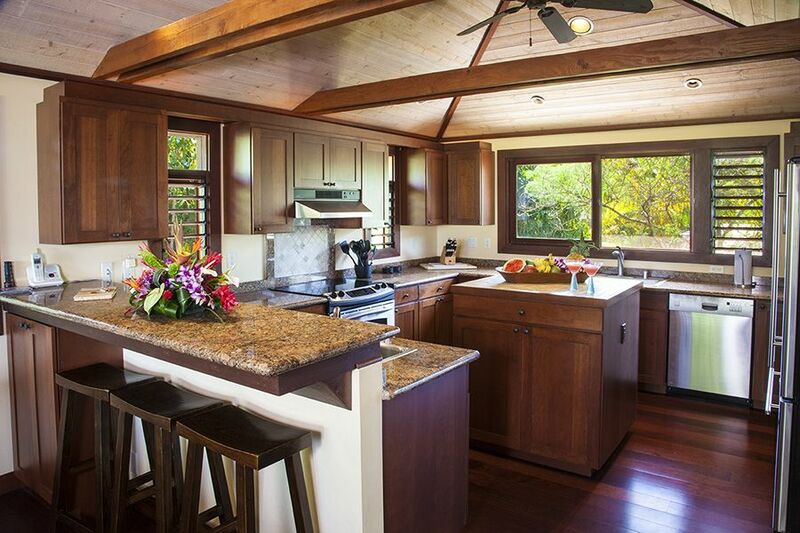 HANALEI, KAUAI VACATION RENTAL: Ka Mahina Hale is a two bedroom, two bathroom Hanalei vacation home. 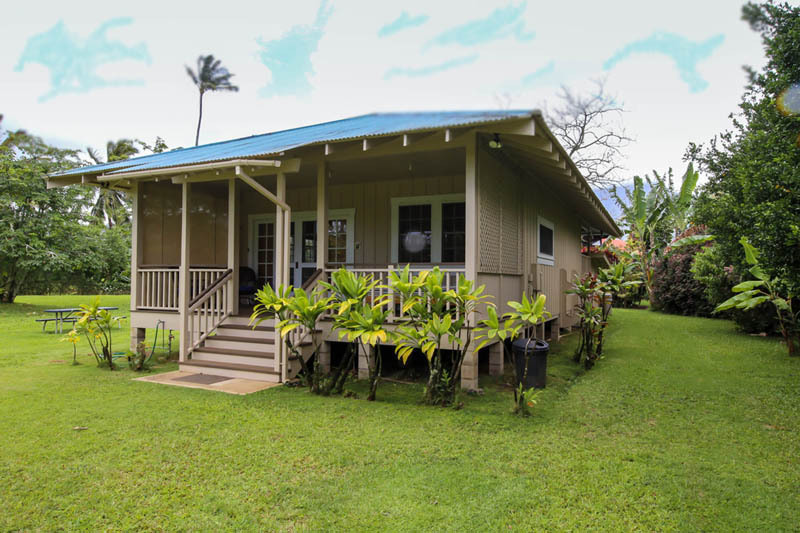 This comfortable home has a great location, two short blocks to Hanalei town and two short blocks to Hanalei Bay. 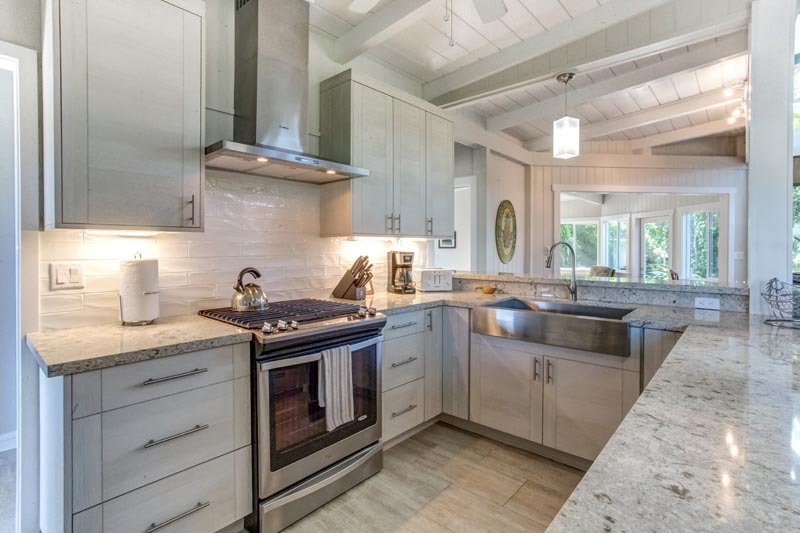 Featuring granite counters, double sinks in master bath, a beautiful claw foot bath, and hardwood floors emphasized with top of the line decor. 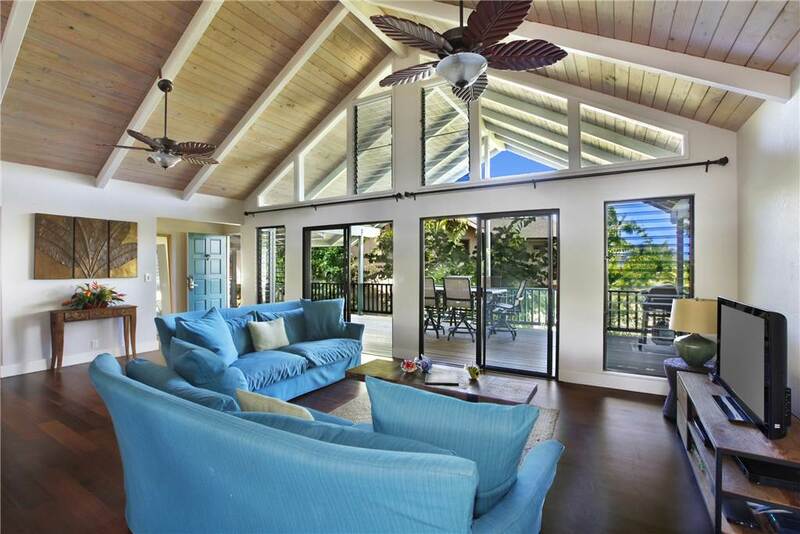 All the living area is on the second floor, with three separate lanai for maximum outdoor living. Sleeps 5. 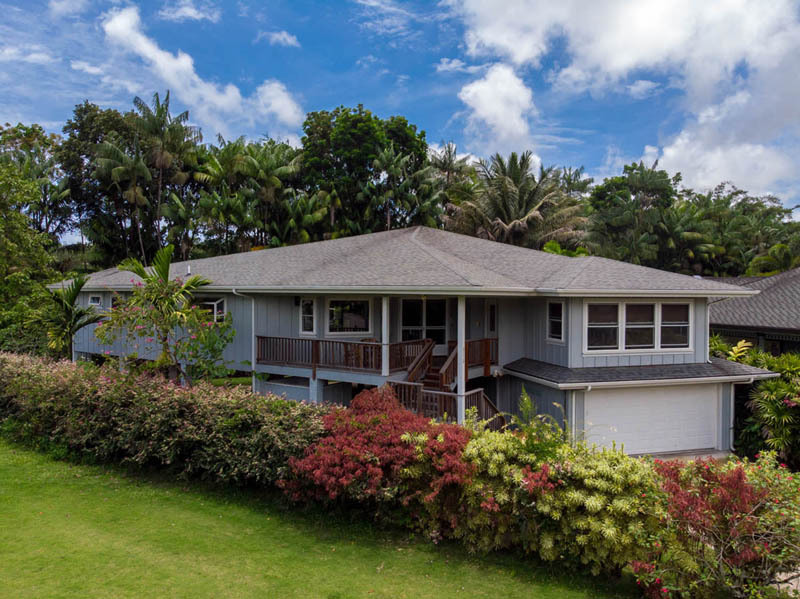 HANALEI, KAUAI VACTION RENTAL: Kainoa Hale is a beautifully appointed 4 bedroom, (two master suites) 3 bath home with Hawaiian and Asian flair. 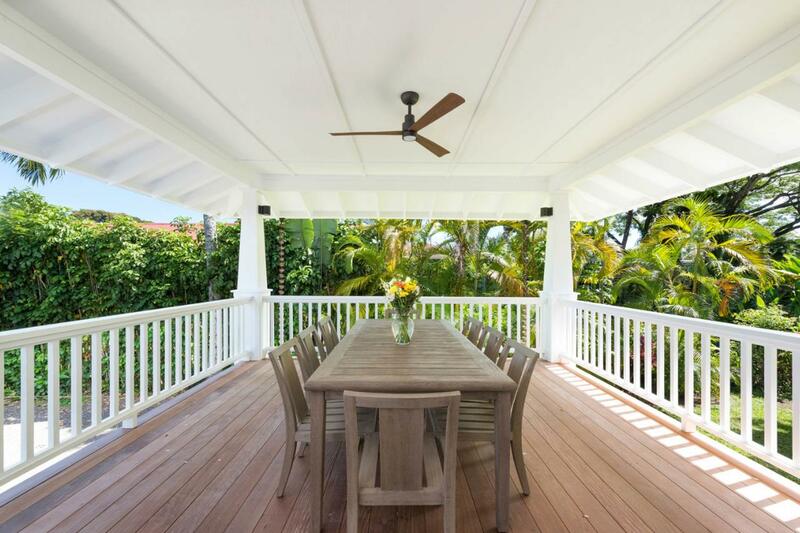 Hardwood floors extend out to the deck in a serene setting as a natural stream flows by the edge of the property. 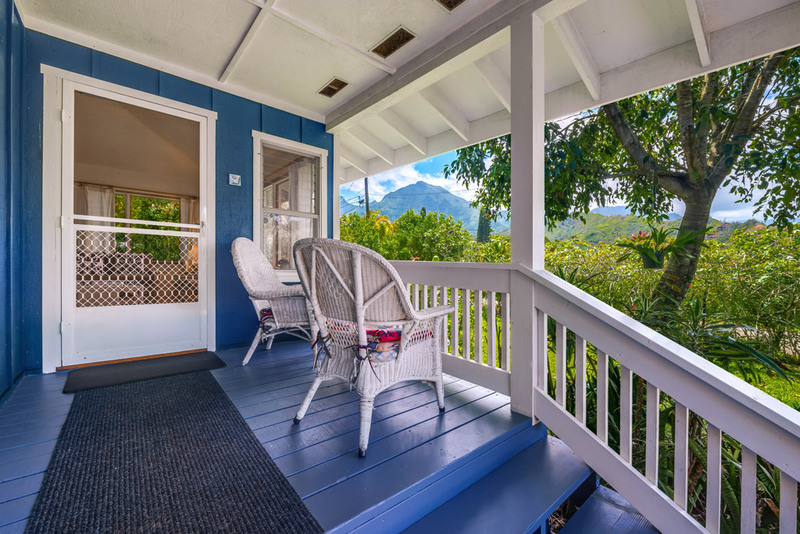 Watch waterfalls and stunning mountain views and take a short stroll to Hanalei Bay or the many shops and restaurants in Hanalei Town. Sleeps 8-9. 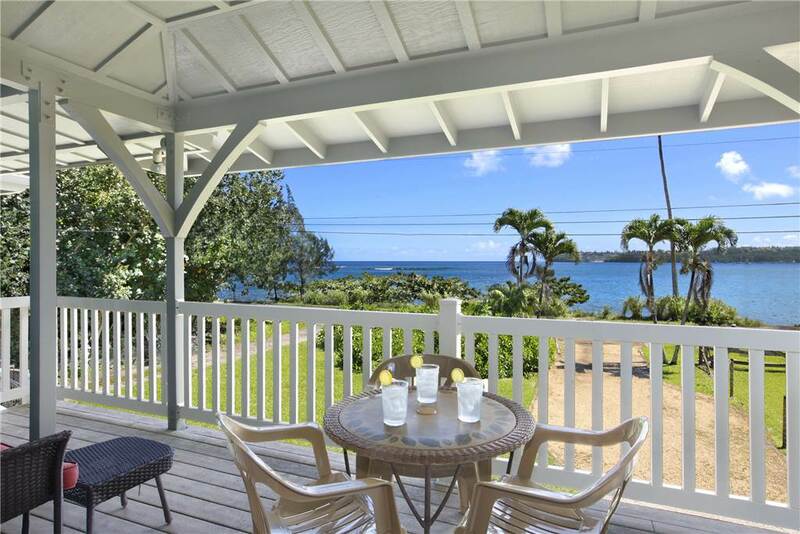 HANALEI, KAUAI VACATION RENTAL: “Koloko” is just steps away from the pristine waters and white sand beaches of Hanalei Bay. 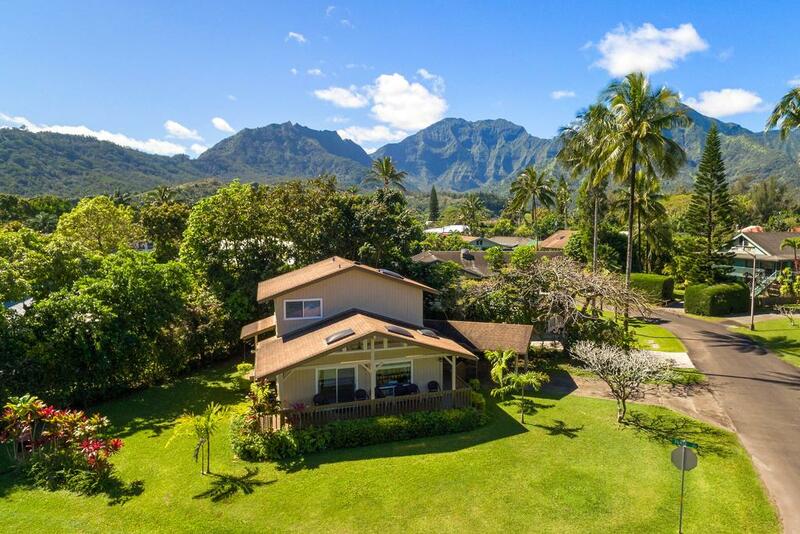 Enjoy expansive mountain views and a private backyard overlooking the Hawaiian fishponds of the historic Kauikeolani Estate. Sleeps 6 people. 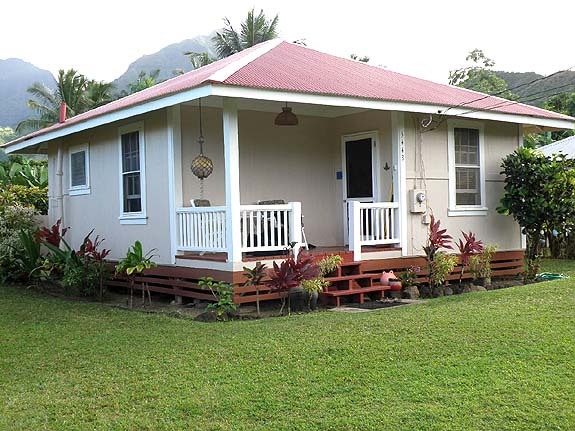 HANALEI, KAUAI VACATION RENTAL: Recapturing “days gone by ” the completely renovated 2 bedroom 1 bath “Palaka” Vacation Home draws one back to the days of the sugar industry’s plantation cottages where living and working closely to each other was an integral part of the simple needs of living in Paradise (with full AC too!). Sleeps 4 people. 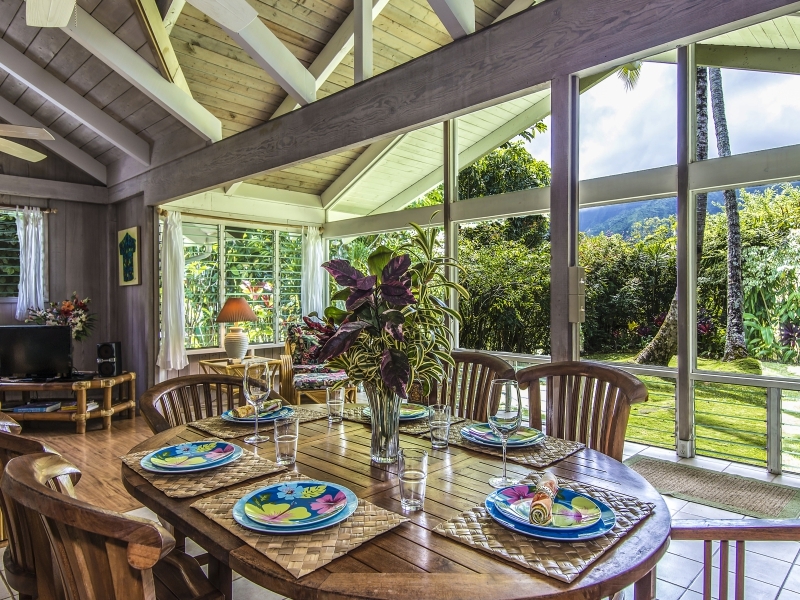 HANALEI, KAUAI VACATION HOME: This comfortable 3 bedroom and 2 bath, home is located in Hanalei on a quiet cul-de-sac within walking distance to the beach, stores, and dining. A great location for a great vacation! Sleeps 6 people. 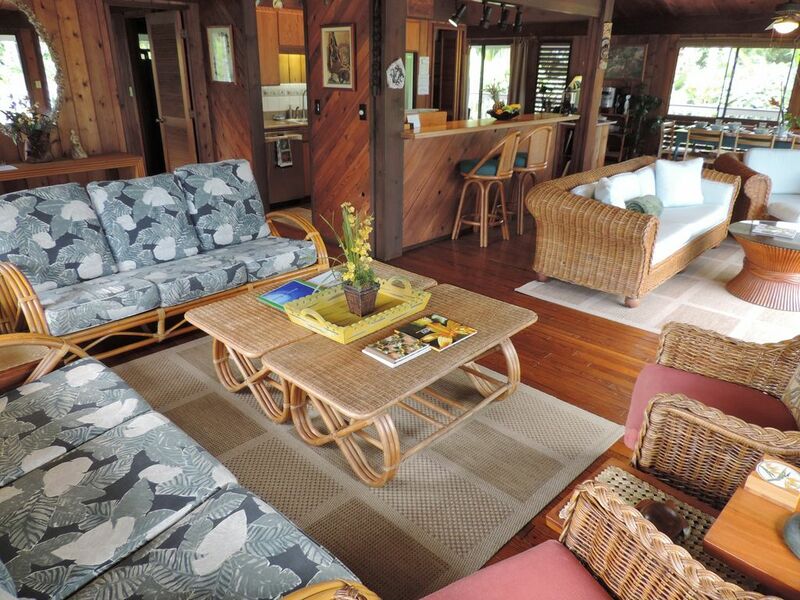 HANALEI, KAUAI VACATION RENTAL: Come to lovely Hanalei Bay and enjoy Paulele, one of our most popular vacation homes! 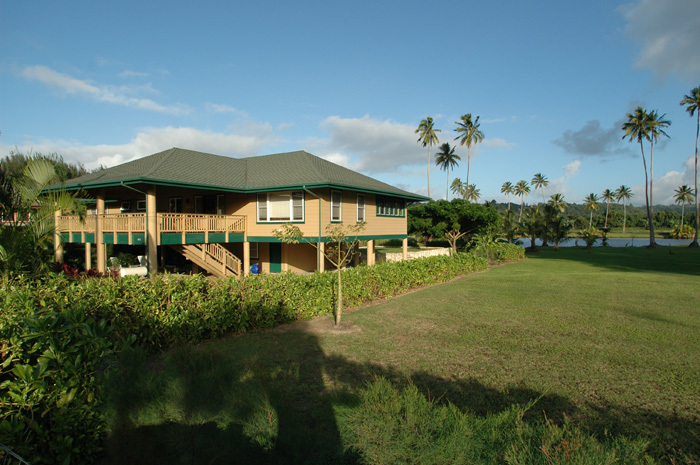 Paulele is situated across the street from the center of crescent shaped Hanalei Bay. One of the world’s most strikingly beautiful beaches, Hanalei Bay offers miles of sandy beach surrounded by stunning tropical vistas. Sleeps 8 people. 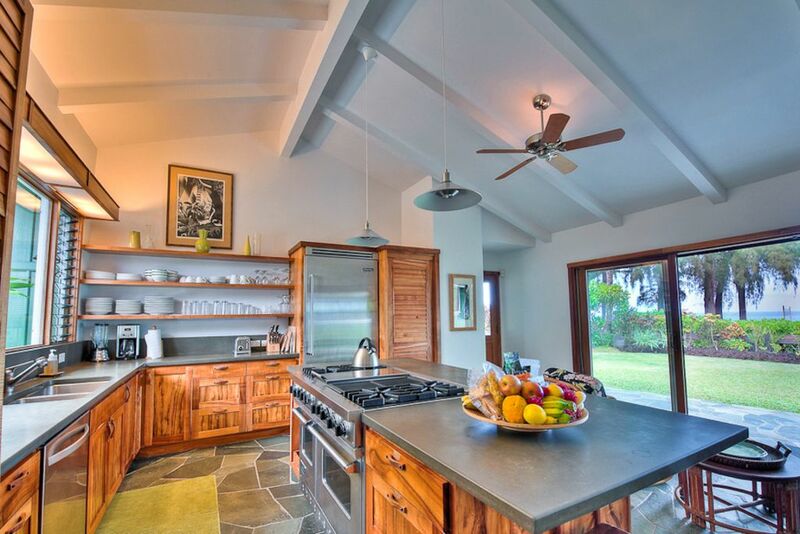 HANALEI, KAUAI VACATION RENTAL: Beachfront two story 6 bedroom, 3 bath plantation style family vacation home. 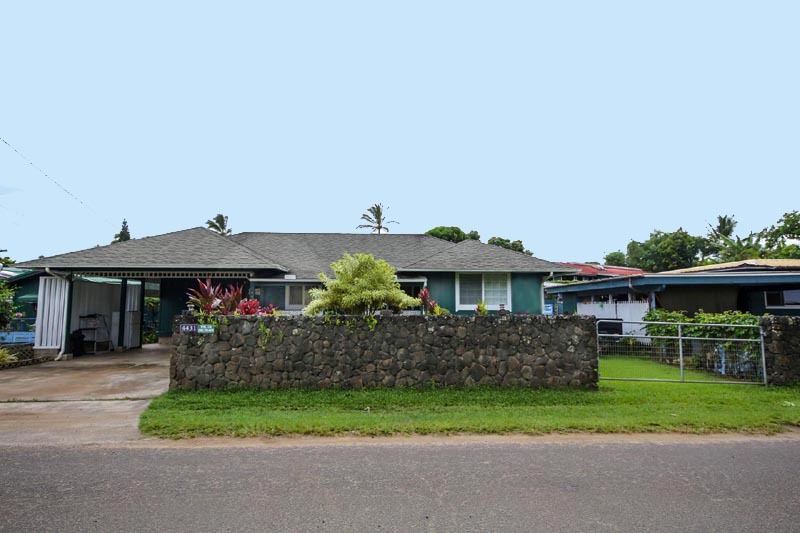 Spacious, wide open yard for all sorts of vacation activities and recreational sports. Favorite home for many, reservations well in advance is highly recommended! Sleeps 10-12 people. Click above for more Hanalei Maps. Crossing the first of seven of Kauai’s north shore one-lane bridges you are greeted by arguably the most idyllic town in the Hawaiian Islands. 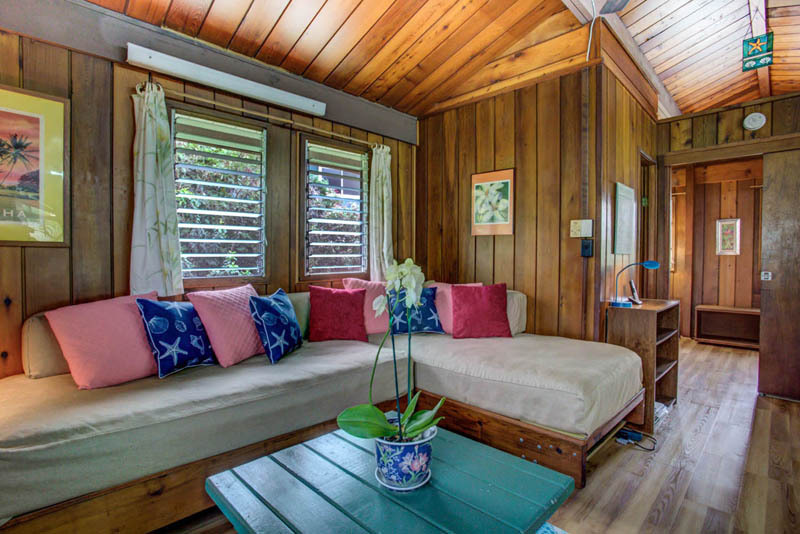 Hanalei is nestled in amongst a two mile crescent of world-renown white sand beach, epic surf spots, patchwork taro patches, and 5,000 foot high mountain peaks; all graced by the “perfect” amount of nourishing rain, sunshine and tropical breezes. 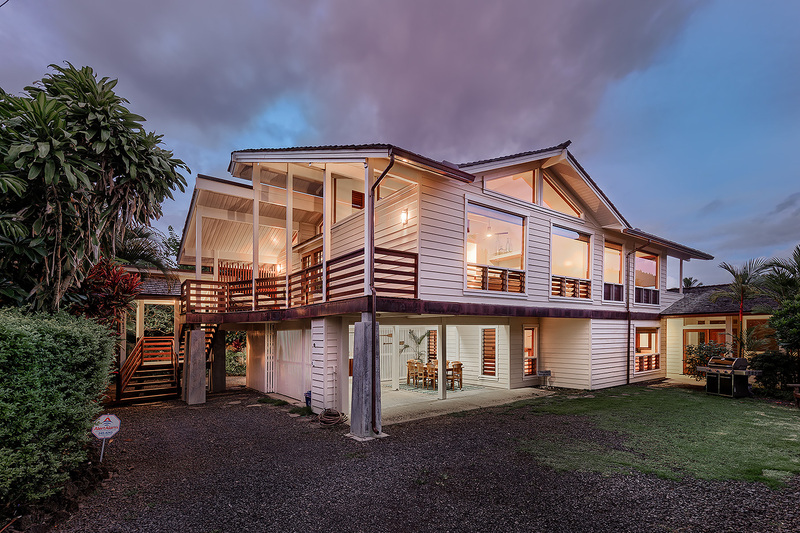 Hanalei town has resisted the onslaught of commercialization to retain its quaint and eclectic mixture of people, engaging shops, dining spots and galleries, and just a ‘touch’ of nightlife. 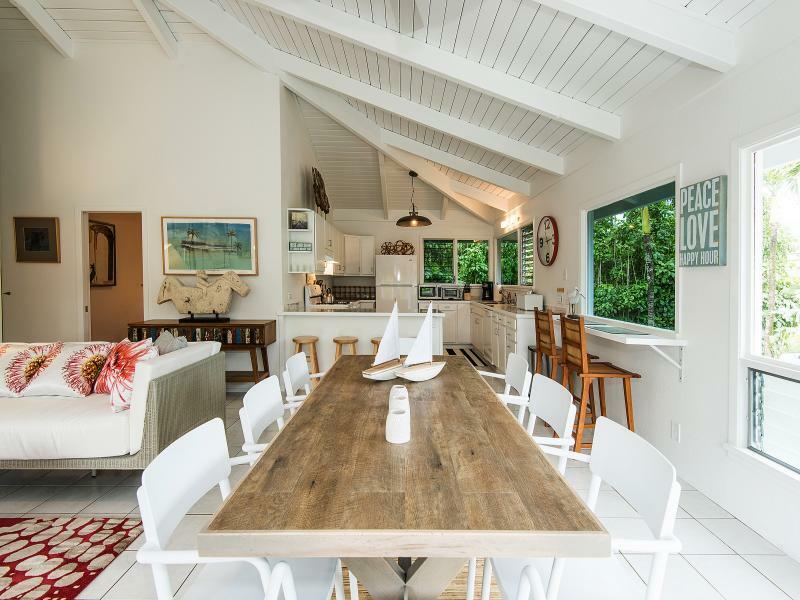 The energy of Aloha is part and parcel to Hanalei and makes it a tailor-made location for families and is one of the most desirable vacation spots on Kauai. Hanalei town once the location for rice plantations has evolved to a Taro crop today that produces more Taro than any other place in the Hawaiian Islands. Taro is used to make poi and numerous other food products that were and still are the mainstay of many Hawaiian’s diet. The largest taro acreage in the district is within the boundary of the Hanalei National Wildlife Refuge and consists of approximately 125 acres. The fields are constantly irrigated with water and are grown in patches giving the valley floor the impression of a patchwork quilt. 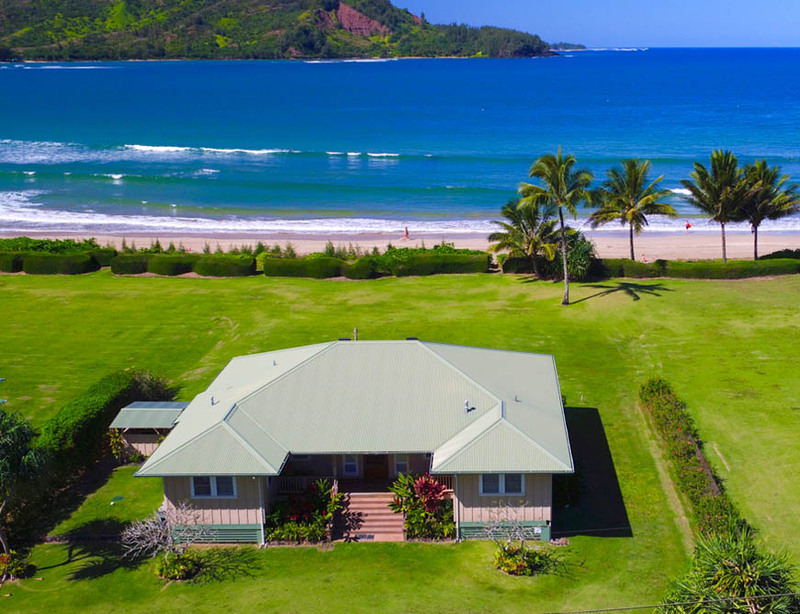 One of the most adored areas on Kauai is the two mile crescent beach of Hanalei Bay. 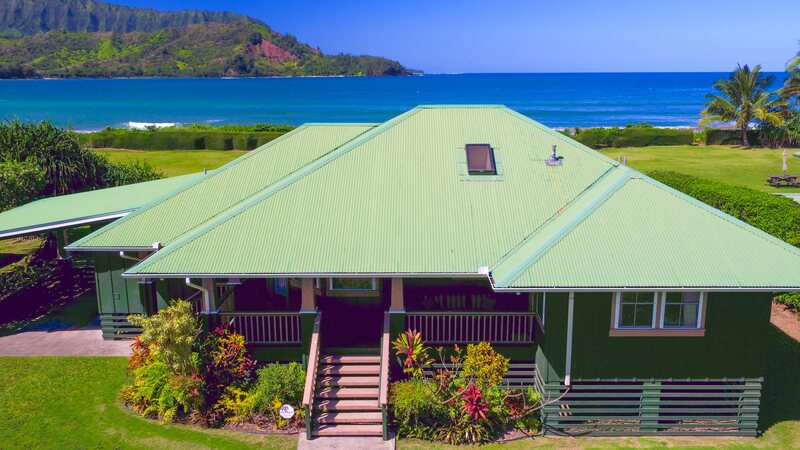 The idyllic town of Hanalei is surrounded by a stunning backdrop of 4,000 foot verdant cliffs that are frequently shrouded by rain clouds and draped with a myriad of waterfalls. The bay itself has silky smooth white sand beaches that seem to go on for ever. Hanalei Bay is home to some of the best swimming, surfing and paddle boarding on the island. The Hanalei River meanders along the only road that leads to Hanalei, passing below the one lane Hanalei bridge, the iconic entry way to this quaint island town. 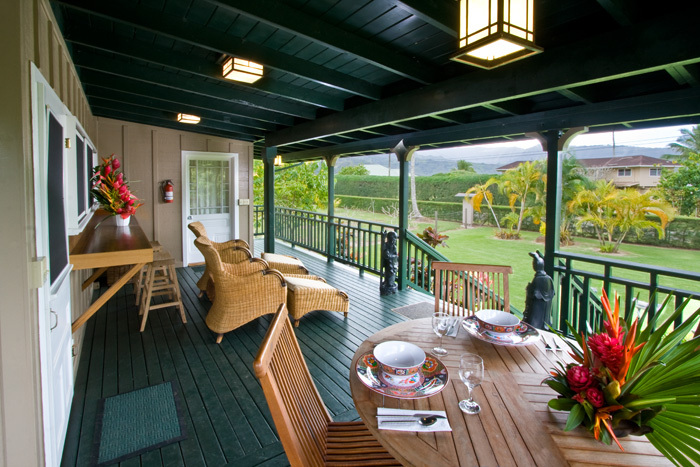 One of the area’s favorite eateries, a fixture in Hanalei since the 1970’s, is the Hanalei Dolphin restaurant and Fish Market which rests at the rivers edge as one enters Hanalei. Patrons of the restaurant and fish market can relax on the outdoor patio while enjoying island favorites like fresh fish ceviche or the Dolphin’s famous stuffed mushrooms while watching the local canoe club paddlers, kayakers and paddle boarders cruise the river. During the summer months sailboats make their way from all over the world to drop anchor in picturesque Hanalei Bay. 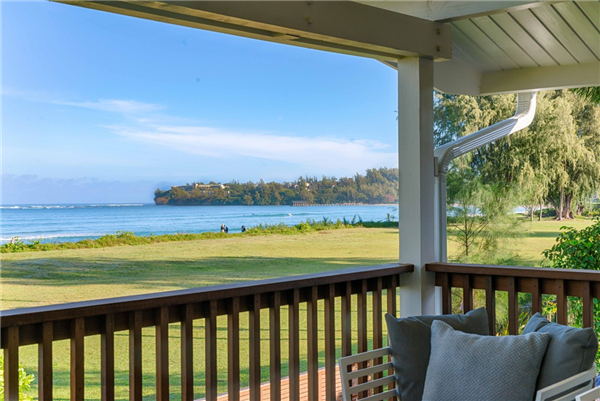 The historic Hanalei Pier reaches into the pristine waters of the bay providing a gathering place for visitors, fisherman, artists and photographers. Not a day goes by without a pack of local children and “young at heart adults” poised for their jump off this famous Kauai landmark. LOVE TO SURF OR WANT TO LEARN? Due to the sandy bottom and gentle waves Hanalei Bay is also the perfect place to learn how to surf. Surfing instructors and outfitters can be found near the pier. In contrast to the idyllic summer conditions, winter time brings a transformation from pristine and calm ocean conditions to huge and dangerous surf that attract big wave riders. An evening stroll along the soft warm sands of the Bay while the sun slowly sets behind “Bali Hai” provides the perfect ending to an epic day spent in Hanalei. 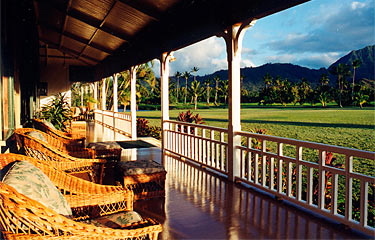 While Hanalei Bay has the reputation for being one of the most romantic settings on the Island and attracts many desiring simple beach weddings, the town of Hanalei also provides another option for picture-perfect weddings at the historic landmark, the Waioli Mission church built in 1912. The town itself is an eclectic mix of salt of the earth farmers, new age artists, camera-toting vacationers, laid-back locals, surfers, shop keepers and even an occasional resident movie star. Shopping in Hanalei is as varied as the populace itself. Surrounding Ching Young Village, the center of commerce in Hanalei since 1906 and the adjacent Hanalei Town Center, one will find everything from classy eateries to Taco stands, t-shirt shops to high-end boutiques, local grocery to health food stores, Hawaiian variety stores to fine art galleries as well as local real estate and vacation rental offices and the ever-present beach rental and activity huts. The town center provides sidewalk tables where visitors can take a break and enjoy a refreshing local favorite “shave ice” in a rainbow of delectable flavors. Exotic tropical fruit and locally grown produce are featured at the Hanalei farmers market at the far end of town every Tuesday afternoon at 2pm and Saturdays at 9am. Getting to some of the beaches beyond Hanalei can require a little more effort. Lumahai Beach for example can be found at the end of a short, steep hike where Mitzi Gaynor washed that man right out of her hair in the movie “South Pacific”. In the summer, Lumahai Beach offers tide pools, a large white sand beach for beach combing and great swimming and coastal views, however it can be treacherous during the winter months due to high surf and rip currents. 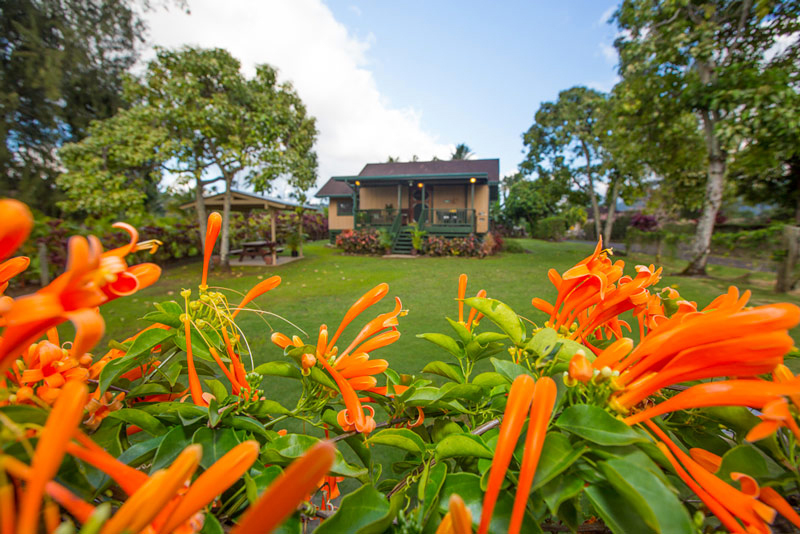 One can easily spend a week just exploring this small quaint town, enjoying the beaches, rivers, waterfalls and jungles of this natural north shore playground or you can simply choose to “do” nothing and just “be” in one of the most picturesque places on the planet.